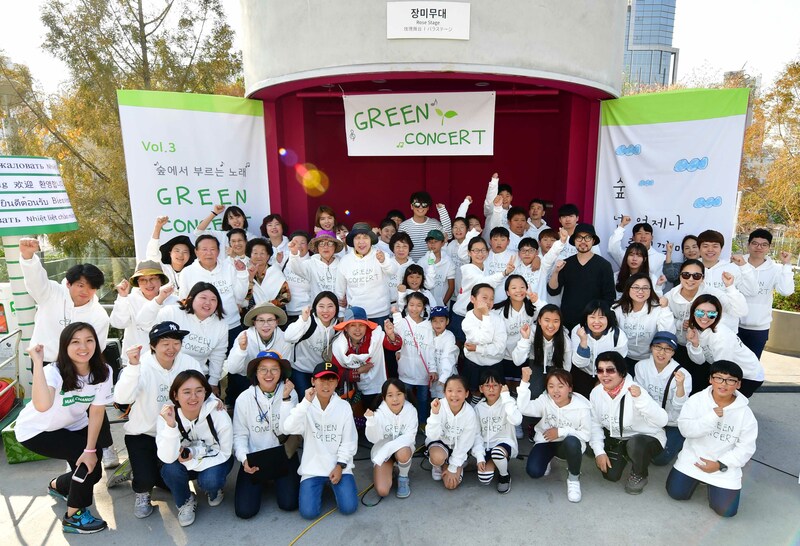 BNP Paribas Cardif Life Insurance announced that it has successfully organized the ‘Green Concert’ with the band ‘Plastic’ and the NGO ‘Forest for Life’ at the rose garden of Seoullo 7017 on 28 October 2017. The ‘Green Concert’, part of BNP Paribas Cardif Life Insurance’s flagship CSR initiative, ‘Green Leader Program’, has been organized for three years to share the meaning of the program to the general public and spread its value more widely. Staff volunteers from BNP Paribas Cardif Life Insurance, members of the NGO ‘Forest for Life’, participants of the ‘Green Leader Program’ and other general public visiting the Seoullo 7017 gathered and enjoyed a relaxing time with music in the city during the concert. Starting this year, a donation platform for the general public to support the ‘Green Leader Program’ is open through ‘Tumblbug’, a social crowd funding platform. Donation is available until November 28, and contributions will be used to run 2018 Green Leader Program. Donors will be offered badges and postcards designed by children and seniors participating in the Green Leader Program as well as seeds for gardening.